An floppy disk controller for connecting a high density drive to the A500. 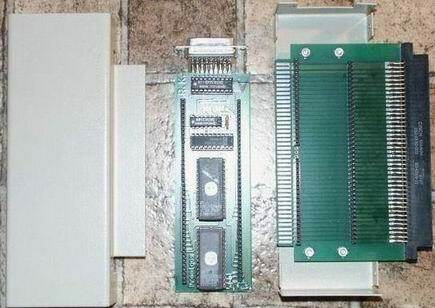 The controller is plugged into the side expansion slot of the A500 and includes a pass-thru. The floppy drive is then connected to the controller via a DB19 connector.